Most Americans consider their pets a part of the family. They take them on vacation, buy them Halloween costumes, and can’t stand the thought of hurting them in any way. Unfortunately, poison is a serious concern for many pet owners. It may tug at your heart when Fido tilts his head and asks for a scrap off your plate, but do you know how the foods you are eating can affect your pet? Many common household drugs, cleaners, and foods can have a devastating effect on your animal. Before you toss your dog some scraps or throw your cat a piece of chocolate, pay close attention to the following foods that can be poisonous or toxic to any pet. Alcohol – When your pet ingests alcohol, they may quickly succumb to diarrhea, difficulty breathing, depression, vomiting, coma, or even eventual death. It’s best to store alcohol somewhere there is no chance your pet will get into it. Onions – Garlic, chives, and onions are all part of a plant species called the Allium species, and ingestion can quickly lead to Allium poisoning. These particular plants house sulfur compounds that may damage red blood cells or cause serious stomach irritation. This can lead to anemia. Raisins and Grapes – Grapes and raisins have been known to cause kidney failure and death in some pets, although the exact deadly substance has not been identified. Pets that have ingested grapes or raisins may exhibit symptoms like tremors, seizures, diarrhea, vomiting, and abnormal heart rhythms. Avocado – A toxin referred to as persin is found in avocados and avocado trees, and can cause diarrhea and vomiting in pets. Avocados have the strongest effect on smaller pets like birds. Chocolate – Chocolate may satisfy your sweet tooth, but it can be completely toxic to pets because of a compound called theobromine. Eating chocolate can lead to seizures, tremors, abnormal heart rhythms, and even death in some animals. Caffeine – Caffeine can have negative side effects on the nervous and cardiac systems in animals, and may cause seizures, tremors, vomiting, diarrhea, and even death. Artificial Sugar (Xylitol) – This is a sweetener typically used in chewing gum, toothpaste, mouthwash, and some foods. Xylitol or artificial sugar can be toxic to your pets and should be kept away from them at all times. Brush your pet’s teeth with special toothpaste designed for them. Lily Plants – Every part of the lily plant can be toxic to a cat when ingested. Even the tiniest nibble on a stem, petal or leaf can lead to deadly kidney failure, regardless of how quickly the problem is treated. As a general rule, it’s better to keep your pet on a strict diet with foods that is designed specifically for them. 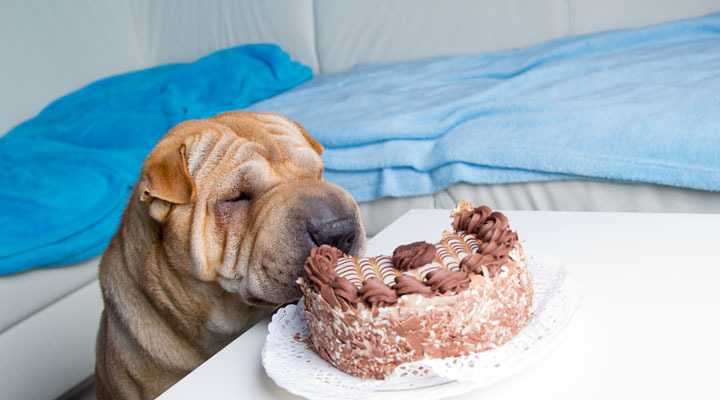 Although it’s tempting to throw treats their way, you may be doing more harm than good. Just like children, pets may not understand their boundaries, and it’s often necessary to protect them from their own curiosity by locking up cleaners and chemicals. Want Your Pet to Live Longer? According to a study done by a pet health insurance company, certain plants and foods are more likely to be involved in pet poisoning claims. These include raisins and grapes, mushrooms, walnuts, hydrangea flowers, macadamia nuts, and onions, to name a few. You love your pet, and you want them to have everything they want. Unfortunately, the task is given to you to decide what is good for them and what is not. Make sure you are educated about things that may seem harmless but can be extremely toxic to your pets.